This is a serious vacuum for hard surfaces. 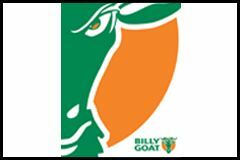 It is the quietest vacuum in the whole Billy Goat range! The 33" opening is generous in size and makes it perfect for most applications. 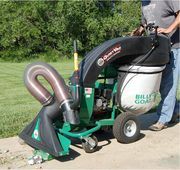 The Billy Goat design features a cyclonic filtration and their patented dust reduction sock technology that vastly decreases dust in dry conditions separating this unit from the rest of the competition in its class. Ideal for industrial large areas such as schools, hospitals, hotels, churches, airports, resorts and heaps more! Self-propelled and features the shift-on-the-fly hydrostatic transmission with forward and reverse speeds to make operating the vacuum a dream! The QuietVAC has the lowest dB in its class compared to other vacs on the market with the same engine class. This means the Vac can be used in areas which are more noise sensitive than others! The specifically designed Billy Goat housing fan system enables the vacuum to produce the most optimum suction of any vacuum on the market. If purchased with the optional extra Dust sock by Billy Goat power equipment, they combine to dramatically decrease the dust in dry conditions even more. This ensures easier operation for the person manning the machine! The Billy Goat self-propelled drive system is unique as it helps you also steer the vacuum as you can apply speed directly to the left or right wheel depending on which way you want to turn, also having forward and reverse options at your disposal!